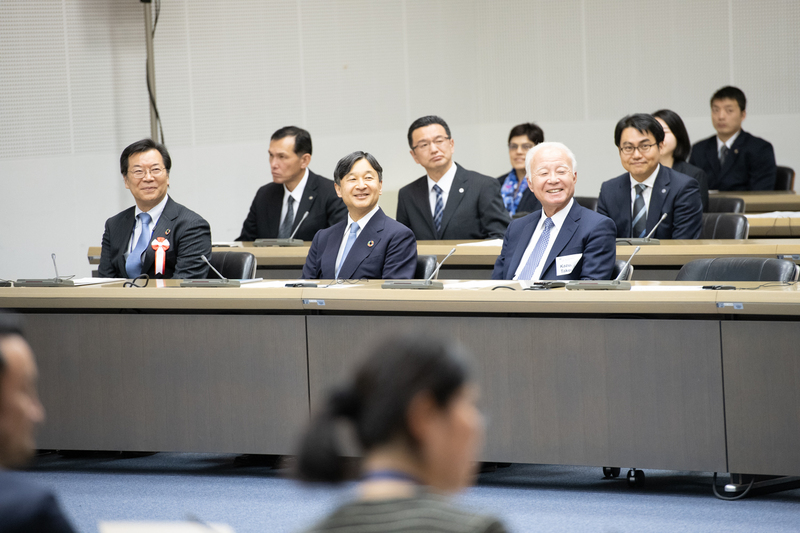 On 22 March 2019, UNU-IAS co-organised the World Water Day 2019 Symposium — The World’s Water in the Era of the SDGs, jointly with the Office of the United Nations High Commissioner for Human Right (OHCHR) and the United Nations Information Centre (UNIC) in Tokyo. The symposium brought together experts on water and human rights to consider how to achieve sustainable development in water and sanitation while leaving no-one behind — a premise central to the Sustainable Development Goals (SDGs). The symposium was held in the presence of his Imperial Highness the Crown Prince of Japan, and featured prominent speakers including Michelle Bachelet (former President of Chile and UN High Commissioner for Human Rights), and Shozo Kudo (Parliamentary Vice-Minister of Land, Infrastructure, Transport and Tourism, Government of Japan). In his opening remarks David Malone (Rector, UNU) introduced UNU’s work on water and sanitation. Mr Kudo explained recent trends in water disasters and droughts, and outlined measures taken by the Government of Japan such as the 2014 Basic Law on Water Circulation. Ms. Bachelet underlined that water was a human right, and was life itself, and that a failure to deliver sustainable development would mean a failure to deliver human rights. Taikan Oki (Senior Vice-Rector, UNU and Professor, University of Tokyo), delivered a keynote speech focusing on lessons learned from the achievement of the Millennium Development Goal for drinking water (indicator 7.C). Rio Hada (OHCHR) introduced key messages from the newly-published World Water Development Report 2019, which discusses access to water leaving no one behind. A panel discussion moderated by Kaoru Nemoto (Director, UNIC Tokyo) featured experts from the University of Tokyo, UNICEF, Plan International, and Japan International Cooperation Agency (JICA), who shared experiences from Africa and Asia, and exchanged perspectives on water, sanitation, and sustainable development. The symposium concluded with a presentation from Kumamoto City on its plan to host an Asia-Pacific Water Summit in 2020, and closing remarks from Kazuhiko Takemoto (Director, UNU-IAS).